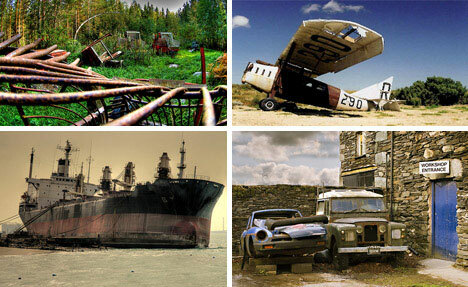 Like buildings and property (or even entire towns and cities), vehicles go abandoned in all shapes, sizes and types. In some cases disaster strikes. In others, changing technologies render old designs obsolete, leaving majestic airplanes and giant steamers to rust and gather dust.